Thanksgiving is the start of my favorite time of the year! When I think of this holiday, I think of: food (obviously! ), family gatherings, Black Friday shopping and Christmas trees. The latter is because I don't put up my own tree until the day after Thanksgiving. Don't get me wrong, this holiday is wonderful in itself but it's also like the kickstart of just more and more parties to come in December. And I, for one, can't wait! 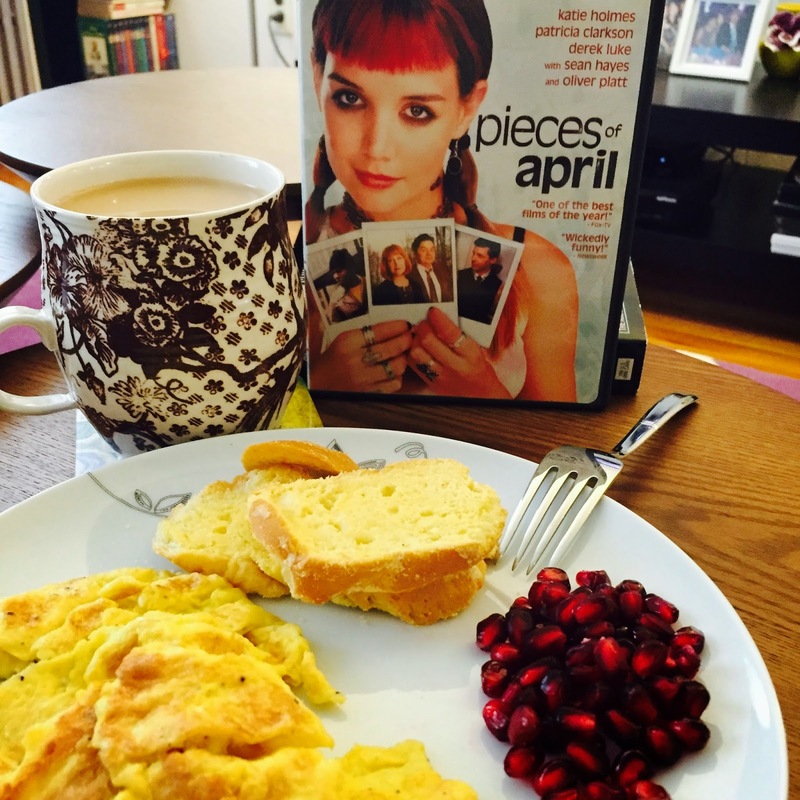 On Thanksgiving morning, I have my own, strange tradition of watching Pieces of April. I watched it for the first time on Thanksgiving Day back when it first came out in 2003. I didn't realize it was about a very dysfunctional family's Thanksgiving and it's such a great, underrated movie. I've been watching it every year since. Making a green bean casserole is another tradition of mine but it's a bit more recent. Our Thanksgiving dinner tends to be a mix of what you'd typically expect plus Filipino food. But my cousin's husband really missed having this casserole, which he used to have growing up, and asked me to try making it. Everyone loved it and now it's requested every Thanksgiving and Christmas. The next day, I met up with Carina and Loren for what was supposed to be only breakfast. Which then turned into hanging out at Carina's new apartment and then Black Friday shopping for hours. It's been a while since we had a whole day to hang out and it was a lot of fun! Then when I got home, the first thing I did was put up my Christmas tree, hang up a wreath on my door and start binge-watching The 100 (and finished yesterday). All in all, it was a really great long Thanksgiving weekend. In case I don't say it enough ..
Ah, your Christmas tree looks adorable! And that Thanksgiving feast at your parents' house? TOTALLY DELICIOUS. As are Loren's cookies. Seriously though, I feel the same way about Thanksgiving. It's like it always marks the beginning of the actual holiday season for me!